The island of Kefalonia (Kefallinia - Kefallonia - Kephalonia - Cephalonia - Cephallonia - Cefalonia) nicely shelters the Ionian sea to its east and is therefore included in nearly all (bareboat) itineraries or sailing routes in the Ionian. The island is often named in connection with Ithaca or Ithaka. The port of Assos (see photo above) is a true gem, and conveniently located more along the western coast of the island, so not many charter yachts or flotilla fleets will visit, giving you a bit more privacy than on the busy east coasts. 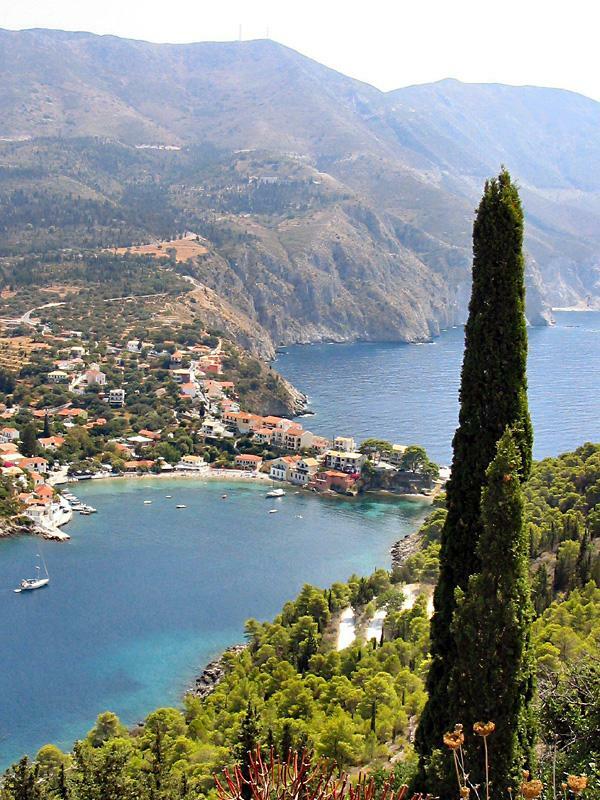 Most yacht charter companies work out of Lefkas island. The whole Ionian sea is really ideal for bareboat sailing due to the gentle and reliable winds. It is also very child friendly, best suited for family bareboats because it has the shortest distances from port to port.